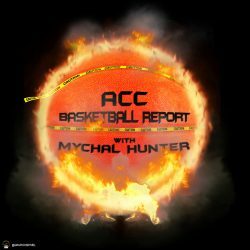 Number seven on ACCBR’s top returning players list is De’Andre Hunter. This kid is just so good. I am not sure he really does anything poorly. The one thing that I do know is he is the best high post player in college basketball. You want to step up and crowd him? He will go by you. You want to give him some daylight? He will drill that jumper in your mug. He is a one man zone buster. As a redshirt freshman, the 6’7 forward averaged 9.2 points and 3.5 rebounds per game. Syracuse zone? 15 points. Virginia wins. Georgia Tech zone? 17 points. Virginia wins. Duke zone? 12 points. Virginia wins. Obviously, when watching the video you can see he does much more. He can play on the wing if he needs to. He can play with his back to the basket if he needs to as well. Hunter is probably the most versatile player in the league. Last night, I spoke about Oshae Brissett being a pro that plays college basketball. Hunter is on that list as well. Had it not been for a sudden wrist injury before the tournament last year he would have been a lottery pick in the 2018 NBA draft. The only thing that I would like to see from Hunter this year is his ability to consistently dominate games. He scored double digits in 16 games last season, but also scored 7 or less in 14 games. While Virginia’s pace of play can certainly be attributed to some of that, some of it was just plain inconsistency. If De’Andre can be consistently solid, he could be a dark horse for the ACC Player of the Year.